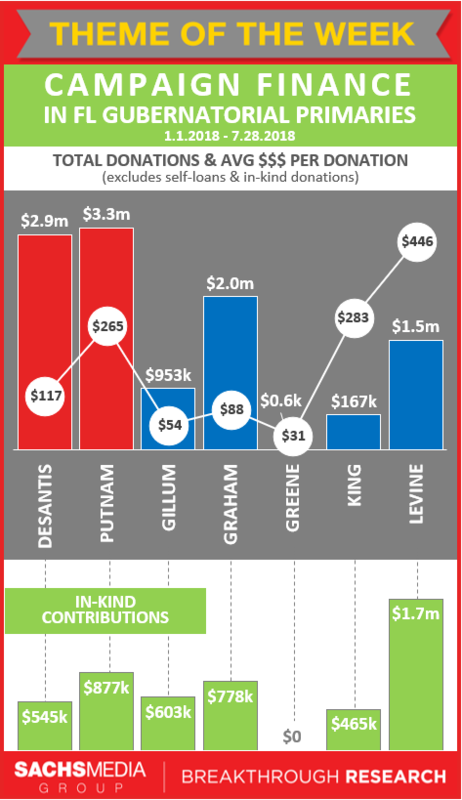 Research infographic depicting total donations and average amount per donation for the Florida gubernatorial primaries. The second bar graph demonstrates the number of in-kind contributions, which is a kind of charitable giving where the goods and services themselves are given to the candidate rather than money. Research: Which Political Party Requests More Absentee Ballots? 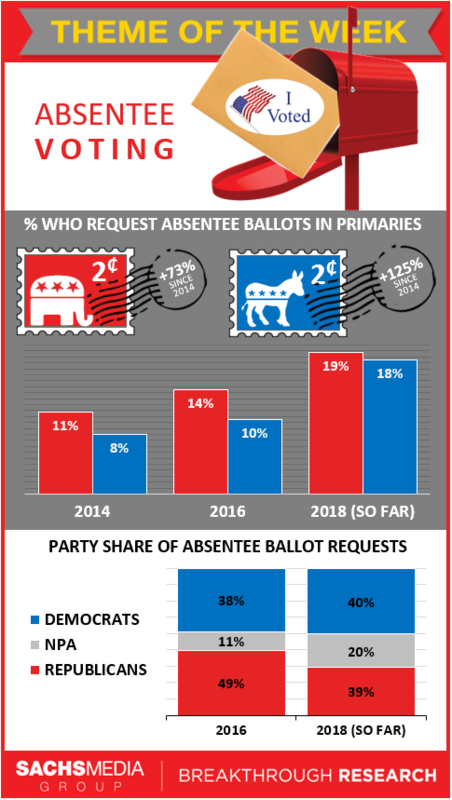 Research infographic describing the percent of requested absentee ballots in the primaries and party share of absentee ballot requests categorized by political party. 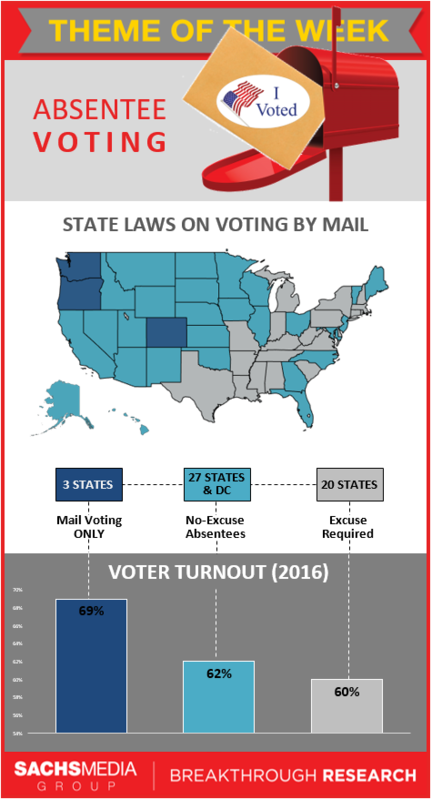 Research infographic describing the state laws on voting by mail throughout the United States. 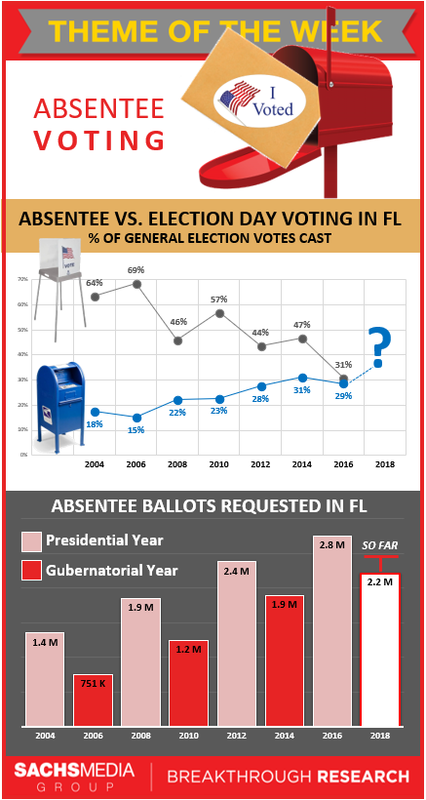 Research infographic depicting the percent of general election votes cast in Florida on election day and through absentee ballots from 2004 to 2016. 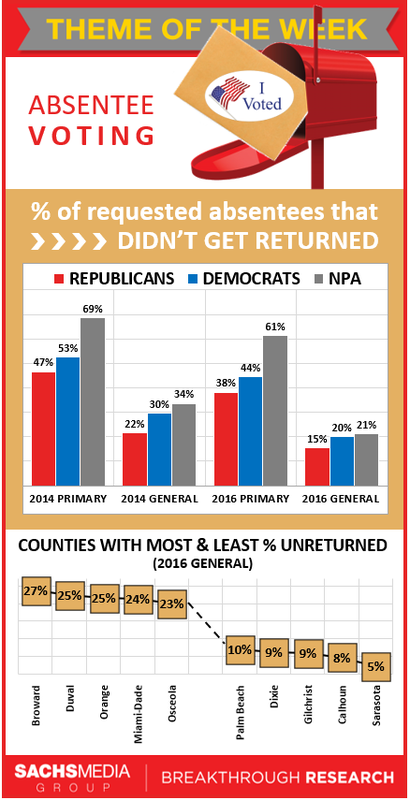 Research infographic describing the percent of requested absentee ballots that didn’t get returned categorized by political party and county in Florida. 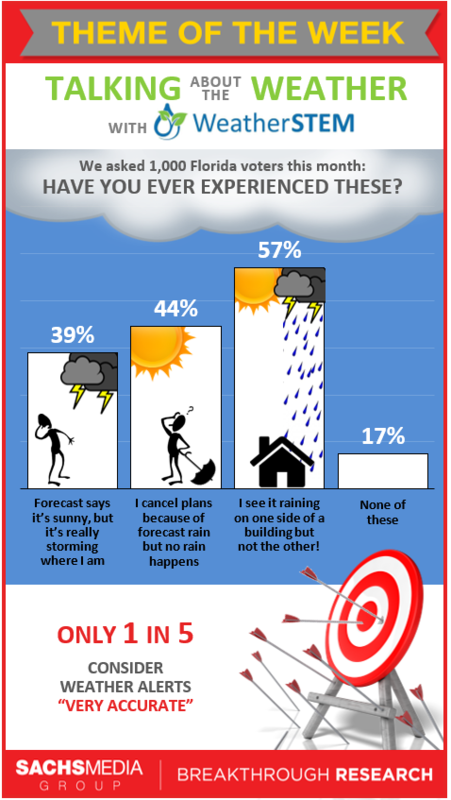 Research: What Weather Conditions do you Regularly Check? 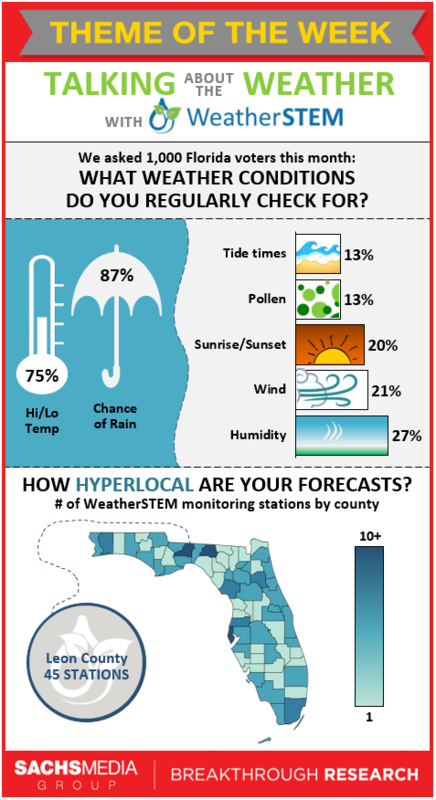 Research infographic describing which weather conditions Floridians regularly check, including temperature, the chance of rain, tide times, pollen, sunrise and sunset, wind and humidity. The lowest diagram depicts the number of WeatherSTEM monitoring stations by county. Research: How do you Feel About Weather Alerts? 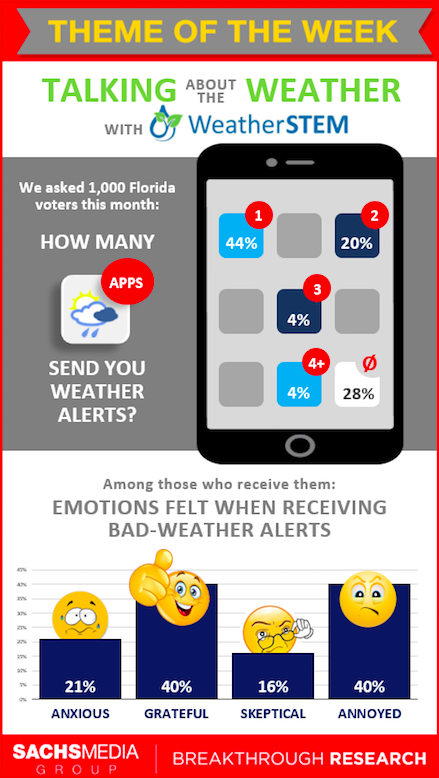 Research infographic describing how many mobile applications send Floridians weather alerts. Most people feel annoyed or grateful when they receive bad-weather alerts. Research: Is it Safe to Swim During a Storm? 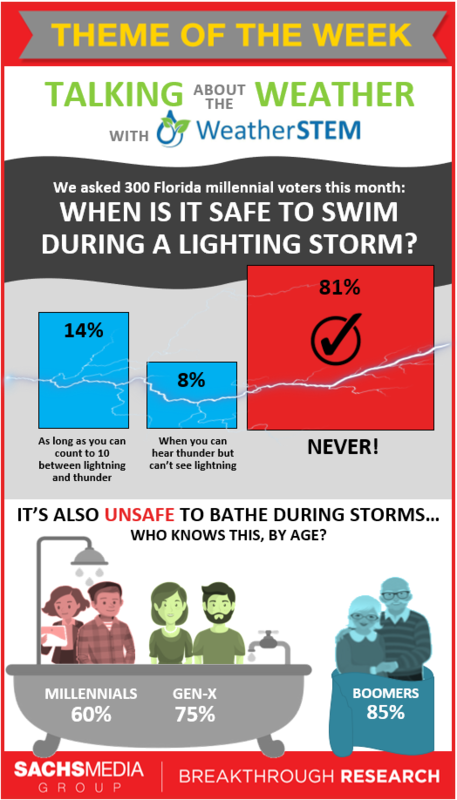 Research infographic describing the percentage of Florida millennials who believe it’s safe to swim during a lightning storm. The bottom diagram displays the beliefs of multiple generations regarding the safety of bathing during storms. Research: Are Weather Reports Accurate? Research: What do Americans Think We’re Celebrating on the 4th of July? 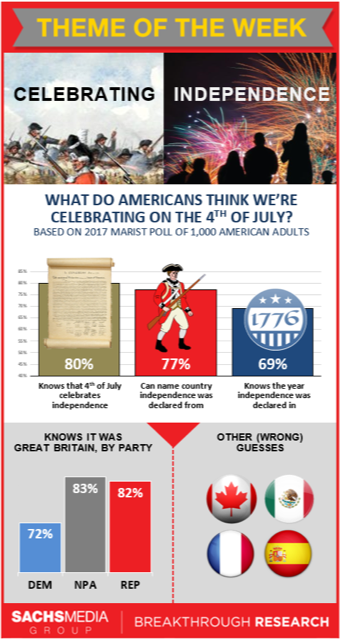 Research infographic describing what Americans think they’re celebrating on the 4th of July and the percentage of each political party that knows we declared independence from Great Britain in 1776.